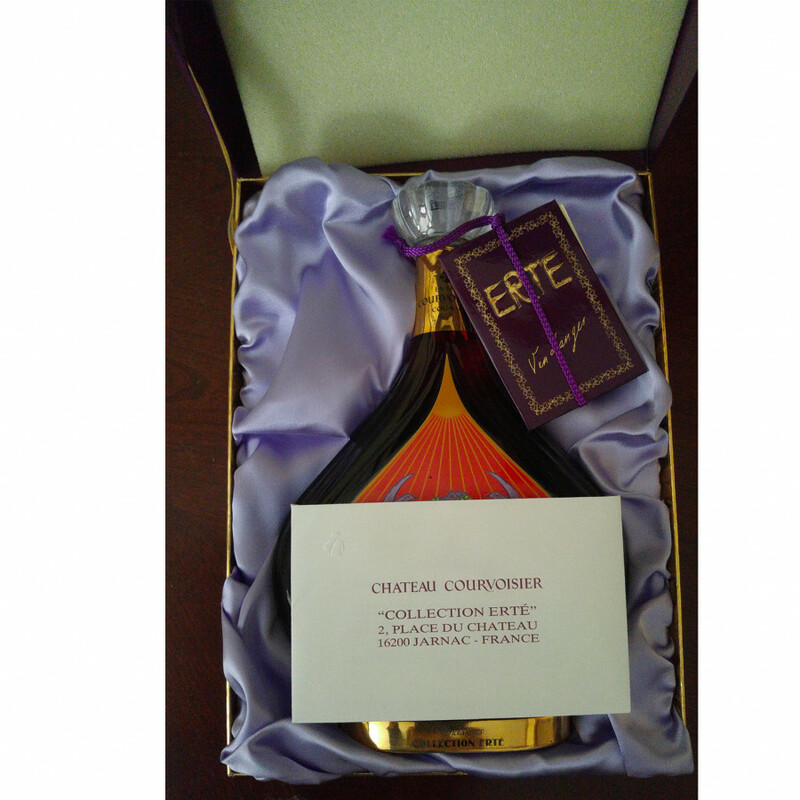 Seller purchased the cognac in the mid-1980's and the bottle has never been opened. Cognac bottle is still in its original packaging. 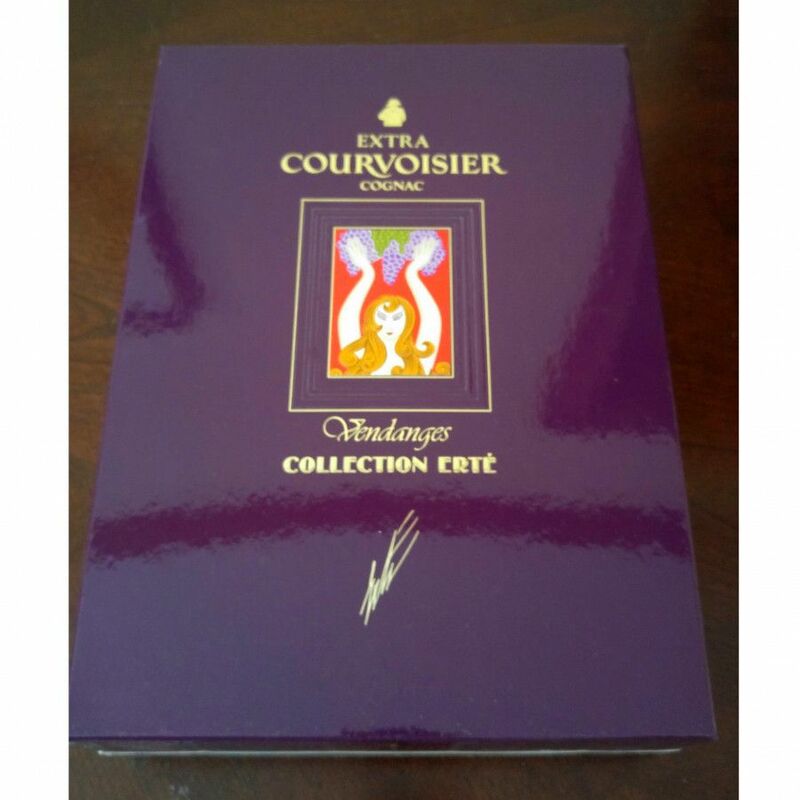 The Courvoisier Erte Collection includes 8 different bottles of cognac. No. 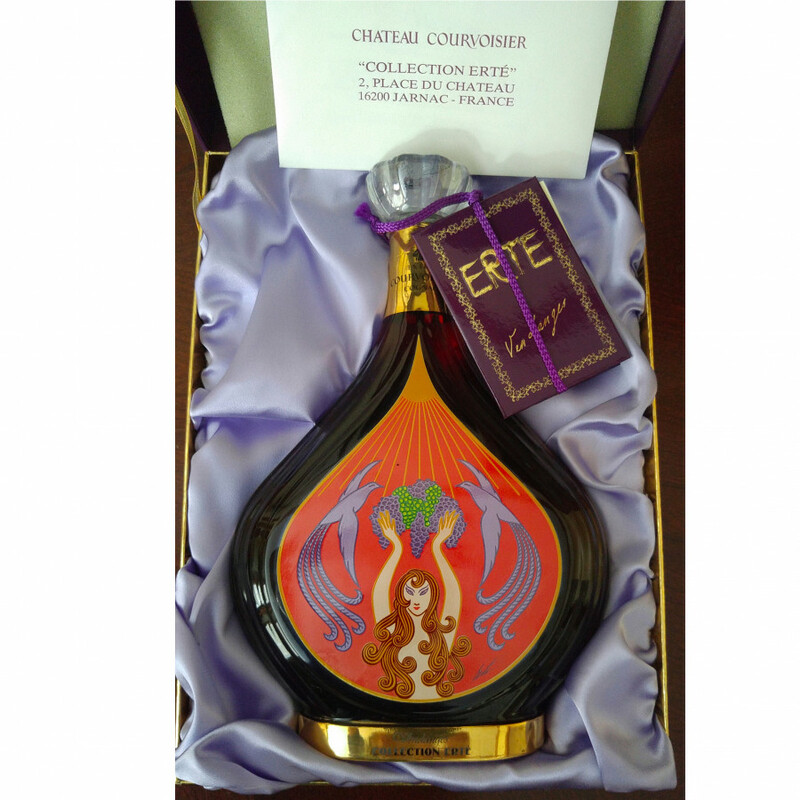 1 to No.7 of the Erte Collection bottle, and the decanter of 1988. The Russian-born French artist Romain de Tirtoff, also known as Erté (born in November 1892), designed the bottles of this limited editio: The visuals present the 7 steps of cognac making. The blends consist of rare Grande Champagne eau-de-vie, some of the eaux-de-vie used date back to 1892, the year of the artist's birth. These bottles are highly sought-after by collectors. Private Seller from USA. Stored in China cabinet, upright. All duties paid.